8th March 2018 is a very special International Women’s Day, when we remember the contribution that women have made throughout history, as well as the continuing fight for the equality they deserve. What makes this particular day so special here in Great Britain is that this year marks the centenary of the first votes being awarded to women, although universal suffrage was still some years away. 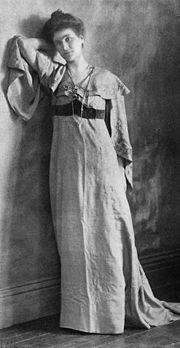 Nearly a hundred years after the Brontës were born, working class women of the West Riding of Yorkshire, like Annie Kenney, were at the forefront of the women’s suffrage movement, something the sisters in Haworth would surely have been proud of. 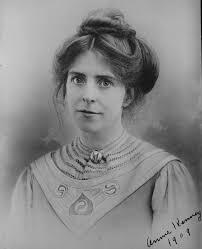 Annie Kenney was imprisoned alongside Christabel Pankhurst in 1905. The move to equality is still under way, but as the revelations over unfair gender gaps in pay at the BBC and other institutions, and the ‘Me Too’ movement shows, there’s still a long road to travel. Women have made, and continue to make, incredible contributions to modern life. Few women have contributed more to the world of literature than the Brontë sisters, and yet they wrote under male pseudonyms. Let’s take a look why. This enlightened attitude, and refusal to be bound by convention, is typical of Anne Brontë, and is borne out by ‘The Tenant Of Wildfell Hall’ itself. The book was seen as shocking in its time, not just because of the frank depictions of alcoholism and cruelty, but because the heroine, Helen, is a free thinking woman who considers herself the equal of any man. She leaves her husband, and takes on a new identity unencumbered by society’s expectation that she should be married and subjugated to a man. Today is a day when we celebrate everyday women and women of genius and Anne Brontë, more so even than her sisters, is a fitting icon for International Women’s Day 2018.